I can see from the deliverable 2.5 synthesis report that you have identified ‘Mobility, Diversity, Inequality and Sustainability’ as the key cross-cutting topics, could you explain why? The four key cross-cutting topics were not selected by our Work Package alone, but by all project partners. A fundamental decision about the topics to be worked had already been taken during the preparation of the application. After the approval of the project this was then specified by all partners during the opening workshop in Madrid 2016 and further discussed during the workshops in Berlin and Quito. The selection of the cross-cutting topics was guided by four criteria: Firstly, they are paradigmatic key concepts encapsulating a broader spectrum of themes and problems. Secondly, they address significant aspects of the social, the scientific and the cultural dimensions of bi-regional relations between the European Union (EU) and the Community of Latin American and Caribbean States (CELAC). This means that they are pertinent to all three dimensions of bi-regional relations considered in the project. Thirdly, they are of strategic relevance for the EU-CELAC bi-regional agenda and play also an important role within the UN framework. And last but not least, there is a need for a systematic and more differentiated analysis of these cross-cutting issues with regard to the social, scientific and cultural dimensions of EU-CELAC relations and taken altogether, in order to comprehend their interlinkages better. In this sense the analysis of the selected cross-cutting issues makes a contribution to overcome blind spots in our understanding of EU-CELAC relations. It is important to point out that the four cross-cutting topics are not only analysed individually for the cultural, scientific and social dimensions of the EU-CELAC bi-regional relations. In addition, overlaps and interconnections between mobility, inequality, diversity and sustainability are explored. You have also identified 7 ‘cross-cutting pathways’ questions, how did you bring it down to these 7 questions? First of all, together with our Work Package 2 Co-Leader, the University of São Paulo Support Foundation, we thought about which questions could be made in a meaningful way with regard to the cross-cutting pathways. The questions were then presented to the other project partners and to the external experts that are members of the Trans-Sectorial Board. To this extent, these are questions which have been shared by all. The basic guiding principle was to ask questions that contribute to a better and more differentiated understanding of EU-CELAC relations. First and foremost, we want to identify through the lens of the key cross-cutting topics significant similarities and differences between the EU and CELAC in the cultural, scientific and social dimension of their relations. Furthermore, the questions are intended to identify where and in which sense one region could learn from the other. Could you talk me through each of the 7 questions, one by one? Of course, but it seems most sensible to do this for each of the cross-cutting topics and also briefly explain how these have been defined. So let's start with mobility. We understand mobility as the spatial movement of people and knowledge between Europe and Latin America/the Caribbean. Beyond knowledge, values, worldviews and experiences are mobilized and circulate across the Atlantic. The mobilization of people may be temporary or long-term (e.g. labour migration). When analysing the mobility of people in all three dimensions we will find that depending on the context key groups of actors change (e.g. in the scientific dimension, students, post-docs, senior researchers; or in the social dimension workers carrying out health- or child-care services). We will also see that the digital transformation produces new patterns of mobility beyond institutional and national borders. In the analysis of mobility we focus on the following key questions: How is mobility addressed in the social, scientific and cultural dimensions of bi-regional relations? How has this changed in the time period considered (1999-2018)? To what extent and how does mobility have an impact on the cultural, scientific, and social dimensions of bi-regional relations? What are the main achievements, what are the main challenges regarding mobility in the social, scientific and cultural dimensions of bi-regional relations? Are the existing funding instruments and formats adequate to foster social, scientific and cultural mobility between the EU and CELAC? Which additional instruments and formats would be necessary to enhance mobility? The second cross-cutting topic is inequality. We define inequality on two analytic levels. 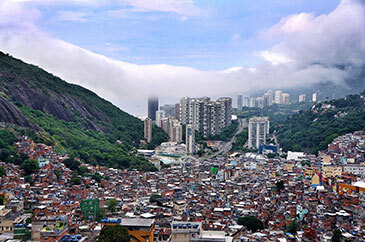 On the one hand, we address inequalities between countries and among regions. On the other, there are inequalities between individuals and social groups that can be defined as a disparity among individuals, social groups and institutions, in time and space, that create a hierarchy of access to socially-relevant and economically important goods (income, wealth, etc.) and power resources (rights, political participation, political power, etc.). Beyond the traditional emphasis on class differences and unequal distribution of income, we also consider inequalities of gender, class, ethnicity and the interrelations among these social categories. In the analysis of inequality we focus on the following key questions: How is inequality addressed in the social, scientific and cultural dimensions of bi-regional relations? How has this changed in the time period considered? 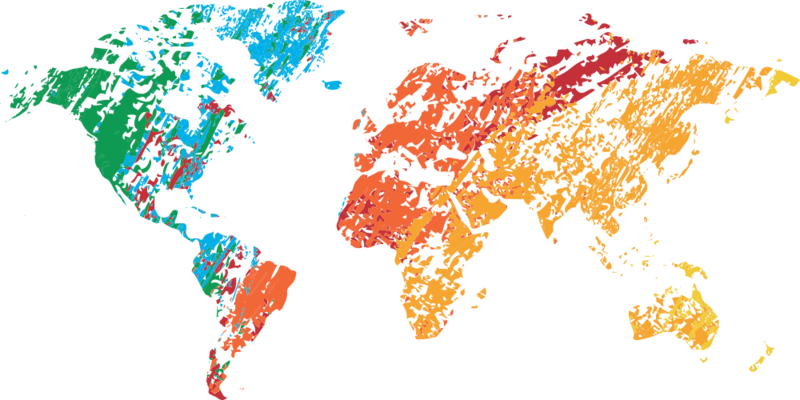 How and to what extent does inequality have an impact on the cultural, scientific, and social dimensions of bi-regional relations? What specific roles do cultural, scientific and social relations between EU and LAC play in fostering social inclusion and reducing social inequalities within and between the two regions? What are main achievements, what are main challenges regarding inequality in the social, scientific and cultural dimensions of bi-regional relations? What are commonalities and differences concerning strategies to address social inequalities and enhance social inclusion? What could both regions learn from each other? The third cross-cutting topic, diversity, is recognized by us on two dimensions: On the one hand, cultural diversity, which encompasses diversity in terms of cultural norms, values forms of knowledge, and practices. It also includes differences spanning gender, age, and ethnicity, as well as the interconnections between these social categories. On the other, biological diversity which refers not only to a diversity of living species in ecosystems and to their complexity. Both dimensions are mutually interdependent when it comes to wellbeing and sustainability. With regard to this topic, we also ask how it is addressed in the social, scientific and cultural dimensions of bi-regional relations, how has this changed in the time period considered, to what extent and how it does have an impact on the cultural, scientific, and social dimensions of bi-regional relations und what are main achievements and the main challenges regarding this topic in the social, scientific and cultural dimensions of bi-regional relations. The fourth cross-cutting topic is sustainability. At the core of the concept are the interconnections between economic growth, environmental health and social wellbeing. Sustainable development has been a mainstay concept and goal of the social and environmental international agenda from the late 1980s until the present. In the social and cultural areas, the concept of sustainability addresses transformations related to development dynamics, highlighting interdependencies between spatial scales (local, national, regional and global scales) and temporal frames (past, present and future). In the scientific dimension sustainability is more directly addressed as the durability and resilience of ecological rather than eco-social systems, and is increasingly brought into close connection with the implementation of particular technologies that are associated with sustainable practices. The questions we ask with regard to this topic are once more how it has been addressed in the social, scientific and cultural dimensions of bi-regional relations, how has this changed in the time period considered, what are main achievements and main challenges regarding the issue in the social, scientific and cultural dimensions of bi-regional relations and to what extent and how sustainability does have an impact on the cultural, scientific, and social dimensions of bi-regional relations. How do you expect the WP3, 4 and 5 to respond to use your conclusions? It is not simply that the other Work Packages should react to our conclusions. The whole interplay between the different WPs is giving and taking. Our Work Package fosters the interdisciplinary treatment of trans-sectorial pathways and feeds into the analysis of the cultural, scientific and social dimensions of EU – CELAC bi-regional relations. We also see our task in synthesizing the outcomes regarding the cross-cutting topics provided by the thematic pillars WP3, 4, and 5. Thus, WP2 will promote knowledge exchange, close interconnections and feedback loops between WP3, 4, and 5 in order to mutually reinforce those thematic Work Packages and provide a targeted input to the vision-building process of WP6. Results from the analysis of the cross-cutting topics of the cultural, scientific and social dimensions of the bi-regional relationship will be taken into account in the scenario building process, which addresses key factors, trends and uncertainties that will most probably shape and determine the future of EU-CELAC relations. The Synthesis Report on Cross-Cutting Topics we delivered in December 2016 is work in progress. It summarizes the results of a first round of evaluating primary and secondary sources for two out of the three dimensions that have to be taken into account, the scientific and the social dimension. The evaluations and conclusions presented in the report are preliminary and can be expected to become more differentiated as the analysis evolves over time. Future versions of the document will also take the cultural dimension into account and will go into greater detail in reviewing and evaluating the content of political, policy and programme documents to the extent that they are relevant for analysing the cross-cutting topics. Thus far, no results from the other working packages were considered, but of course we hope to enrich our analysis through this material in future versions of the report. How do you think this will then be used to improve bi-regional relations? As you know, the main objective of the EULAC Focus project is that of “giving focus” to EU–CELAC bi-regional relations. The project pays special attention to the social, scientific and cultural dimensions, proposing a new strategic and more targeted framework for bi-regional relations. We hope that with our analyses, we can make a small contribution to identifying the strengths and weaknesses of the bi-regional relations and finding areas that should be given special attention in the future. The interview was conducted by Estelle Morris. 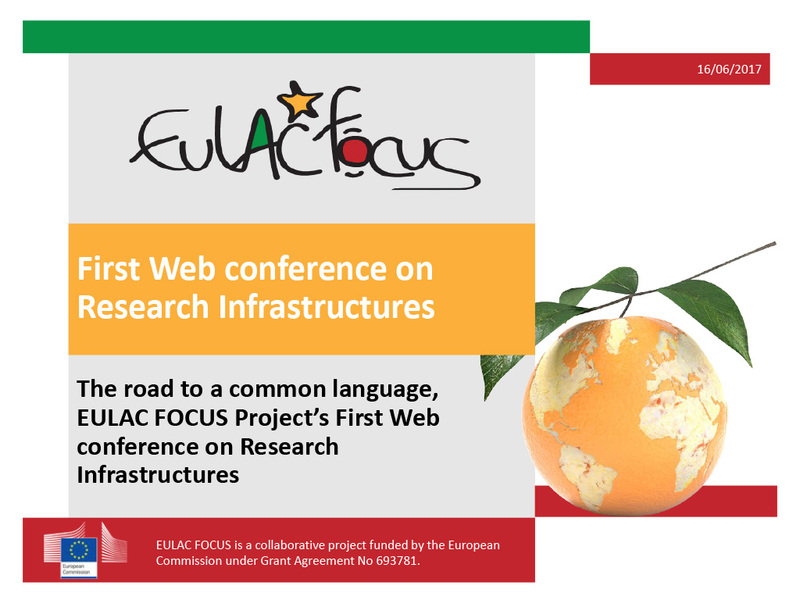 The road to a common language, EULAC FOCUS Project’s First Web conference on Research Infrastructures ran by the EULAC-FOCUS project took place on 13th June 2017. The aim of the activity was to exchange lessons learned, common considerations and challenges between the CELAC and the European Union. Fernando Amestoy, Polo Tecnológico de Pando, Uruguay - CELAC leader of the SOM Working Group. Gerd Rücker - InRoad Project representative. Margarida Ribeiro - EC representative in ESFRI project. The event was a success with 25 participants online and some really good questions and discussion on the subject of research infrastructures and the different initiatives on going from Europe & the potential synergies/ lessons learnt for CELAC. It engaged EC representatives and participant from European and CELAC countries as a preliminary dialogue on this important topic. It also engaged new stakeholders to the project (e.g. MEC from Uruguay, SENESCYT from Panamá, CNPq Brazil, among others). It is also worth noting that this activity was coordinated by 3 on-going EC projects : EULAC FOCUS, ALCUE NET & ERANET LAC. Further Hot Topics web confeerences will be organised in due course. The full programme will be published on www.eulac-focus.net/about-eulac-focus/hot-topics/. In the meantime, the recording of the web conference has now been published live on the EULAC-FOCUS Youtube channel on https://www.youtube.com/watch?v=O7J9Kk-mS4Q and can also be found on the Hot Topic section of the EULAC-FOCUS website on http://eulac-focus.net/about-eulac-focus/hot-topics/. In the framework of the EU LAC FOCUS project, we invite you to participate in the first "Hot Topic Web Conference" on Research Infrastructure (RI). The aim of the activity is to exchange lessons learned, common considerations and challenges between the CELAC and the European Union. Please note that the live web conference is available on invitation, but will be recorded and made available on the website at a later stage.